As a pack of car dorks, I’m sure you know all about badge engineering. Just in case you took a blow to the head and forgot, here’s a reminder: it’s when a carmaker decides to re-badge the same car under a different brand and model name for byzantine, unknowable reasons, and somehow sell it and make more money. It happens all the time. There’s a Korean company, though, that has quietly made the biggest advancement in badge engineering ever: Brenthon. Have you ever heard of Brenthon? I sure as hell haven’t. Until, quite by accident, I happened to find some pictures of Brenthon-branded cars online. The cars had unfamiliar badging, but looked oddly familiar. Um, hey, you’re, um, on my car. That’s my car. Please get off my car. The reason they looked familiar is because those cars were Kias and Hyundais. 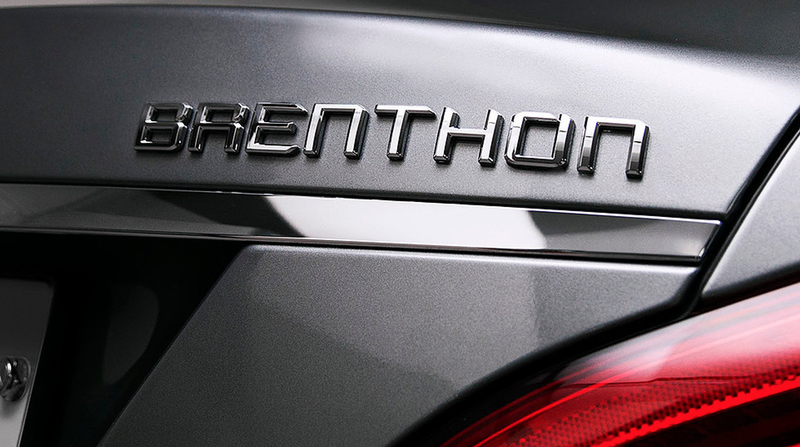 At first I thought that perhaps Brenthon was a tuning company, like BRABUS or Dinan or AMG, where they do so may modifications to a car that it deserves its own new name. But that’s not the case. Brenthon is not a tuner company, and they don’t make any performance-enhancing parts. In fact, those Kias and Hyundais I saw were no different than any stock Kia or Hyundai, except for the name and badges. That’s because Brenthon is just a name and badge company. Just let that sink in for a second: this is a company that produces nothing but car name and logo badges (well, they make some other trim parts, but the focus of the company is the Brenthon badging). They don’t make cars, they make items so that you can transform your existing car into one of their Brenthon cars. It’s amazing. They’ve taken the fundamental concept of badge engineering and eliminated the whole, expensive ‘building cars’ part of the equation. Even better, they’re getting the consumer to pay for the privilege of turning their cars from Hyundais to Brenthons, and even doing the physical installation themselves. It’s like a car brand turned into a virus, using the company’s own manufacturing, sales, and owners to turn their cars into more of themselves. It’s one of the most brilliant and devious plans to come out of the automotive branding space in decades. Why would someone want to do this, exactly? Probably for the same reason so many car companies have premium brands at all: to convey an air of status, of exclusivity. That’s why Honda made Acura and why everyone was confused when Volkswagen sold the Phaeton as a VW instead of an Audi. People are obsessively badge and brand conscious, and Brenthon understands this so well they realize all they need to sell is a meaningless brand, and not even a car. I don’t even know how I feel about this. On one level, it’s absolutely ridiculous—an entirely fabricated and meaningless car brand with a name designed to evoke concepts of wealth and refinement and history without actually having any of those things. In many ways, it’s the most callow, base, and cynical degradation of the whole concept of car marques possible. On the other hand, how is it any different than, say, what went into the origin of the Infiniti brand? Really, nothing, except Brenthon was smart enough to not even mess with building cars at all. Brenthon is a strange, strange thing. I’m not sure how these Brenthon-badged cars are perceived in Korea, but I wouldn’t be surprised to find the plan is working, and they carry more status than a regular Kia or Hyundai. It’s badge engineering distilled down to its absolute essence, and it’s a potent, dangerous elixir. I wonder if we’ll see more of this to come in the future? If you’ll excuse me, I’m going to look into investing in some Brenthon-only service centers.